Ok, now that everything is fixed I have a confession to make. I was so excited to be a part of my first swap. I bought some great fabrics. I cut squares. I cut some more squares. I packed them up and got ready to head off to the post office. I got online to find Wendy’s address to mail my little beauties Down Under. I scanned the e-mail instructions. Somewhere along the line 3″ squares lodged in my brain and 3″ squares is what I cut. 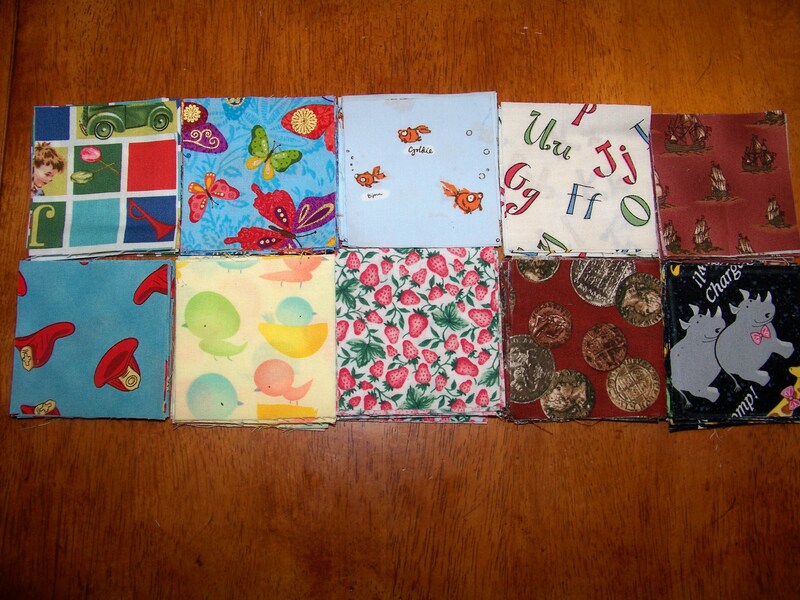 200 now unusable (for this project anyway) 3″ squares. I wanted to cry. I wanted to quit. I’ve had a rough couple of weeks. This just topped it off. I went home and cut like crazy. I discovered that 4″ squares are way easier to cut than 3″ squares. I packed up the 4 ” squares and sent my husband to the post office with them. After he left I realized I forgot to take a picture of them, so here is a picture of the scraps. 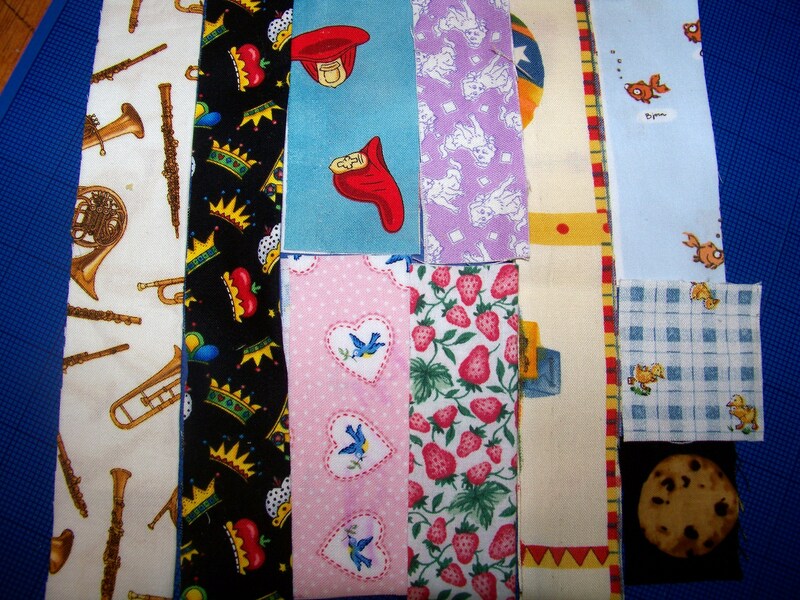 Any ideas for what I can do with 200 3″ squares of i-spy type fabric? I am so excited! I impulsively joined my first ever swap last night! It’s the “Let’s Play… I Spy Swap” being held by Wendy over at hARTylittlepeaces and I am beside myself with excitement for this! I am a little intimidated by the prospect of cutting 200 4″ squares. I will certainly get lots of practice with my rotary cutter! I have a few fabrics in my stash but I am really looking forward to scouring the fabric store for some interesting designs. Hopefully I will get to go this afternoon (*crossing fingers!*). Of course, in my blogging newbieness, I cannot for the life of me figure out how to get the button in my sidebar, but I am working on it.